Hi there! This is Bego. I came to London to improve my English with a view to staying here for a couple of months and here I am after more than 2 years! I studied Advertising and PR in Spain, and English is vital in this industry. When I first arrive in London my English wasn’t good at all, but I found a job as a bartender. Then my English improved and with it my career opportunities. I started organizing events in the pub where I work and doing some internships to get experience in Marketing. I enjoy every second in this city. There’s a big range of cultural and social activities. Places like Meet up or Couchsurfing are great sources to find them. You never stop meeting people. Tti : What was one of your fondest memories of your time at Tti ? 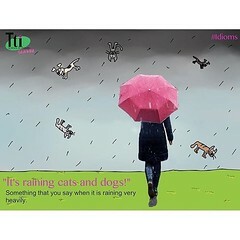 Tti : Why have you decided to stay in good old Londontown? Tti :What was something about English culture that took a long time for a Spanish girl to get used to? Tti :How did the Language and Cultural Exchange get started at the Sheephaven Bay , a lovely Irish pub in Camden? 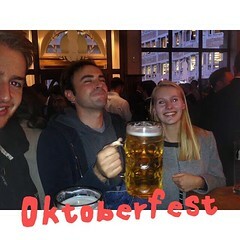 I had the idea of organizing the group because when I first arrive to London I started attending some other groups and I think they are a great way to practice languages with native speakers and to meet new people, especially when you are new in the city. I studied events organization and working in the Sheephaven Bay I saw a good chance to create a group for practicing languages and to have social activities. The Sheephaven is a great place for these kinds of events. We have a room reserved just for us, plus the beer garden, which is lovely during the summer! Tti :What other events do you have going on at the Sheephaven? Tti :Have you learnt any Irish expressions working in this Irish pub? Could you teach us some ? Tti :What are your goals or objectives now for the future? You can join the Language and Cultural Exchange every Monday ! Check the Social Programme Calendar and board for more details! 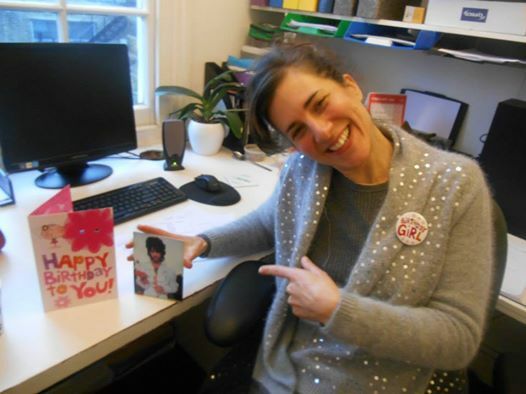 Huge thanks to Bego for taking the time to write this post for us! Are you a Tti Alumni and have a story to share? 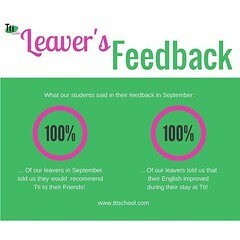 Please get in touch at info@ttischool.com . We’d love to hear from you! 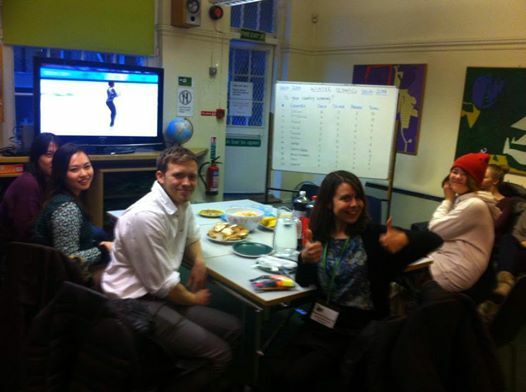 This week, Tti students and staff joined together on the comfty couches to enjoy some international snacks and the figure skating on the big screen TV in the study lounge! While students enjoyed the triple axels, Mel interviewed the students on their favourite Olympic moments in history. Luke (a Tti teacher and a great singer!) said he really enjoyed watching the boxing live at the Olympics in London in 2012! He watched about 10 matches!! Thibault from France said the skiing was his most preferred sport to watch while most of the students said they loved the opening ceremony at the London 2012 Olympics!! Especially the Queen and Daniel Craig’s cameos! Deborah said she ‘ll always remember Marie-José Pérec who is now a retired, French track and field sprinter who specialised in the 200 and 400 meters. While our Italian Giacomo loved Steve Bradbury’s speed skating skills , our Koreans were thrilled that Yuna Kim made it to first place for figure skating!! Shazleen loves shot-putting and actually played it at school!! Elena loved the 2004 Athens’ Opening ceremony as it reminds her of summertime. Leo , our Brazilian , loves bobsledding! 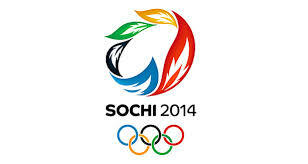 We’d love to hear from our former students what their favourite Olympic memories are ! Get in touch ! Prince played a surprise gig in Camden Town and our D.O.S and resident Prince fanatic, Camilla Harrison , tells us all about it! Last week with His Royal Purpleness (Prince) playing at The Electric Ballroom on the first night of his new tour with his new band (3rdEyeGirl) to promote his new album “Plectrum Electrum”, was there any doubt that I would do anything to be there! In true Tti team style, Marianne started queuing outside the venue at midday, and was replaced by John and Sergio at 1pm who then stoically stayed in line the whole wet, cold afternoon to keep Tti a place! By 6pm, Tti commanded a large part of the front(ish) part of the queue. The Tti Prince fans were: John, Ella (John’s wife), Sergio, Sonia, Ana, Walid, Matt, Marianne, Sam and, of course, ME!!! 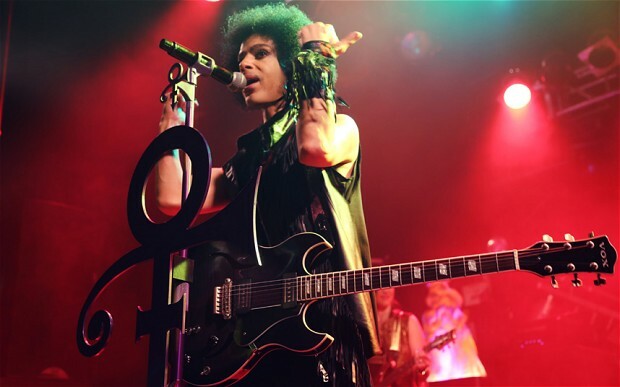 I got right to the front and shortly afterwards the afro-haired Prince took to the stage with his all-girl band and played a set of fast-paced punk rock for an hour – so cool! He came on for two encores, by which time I couldn’t scream anymore and my voice had gone! Prince is going to be in London for a while. As he said in a recent interview on 6 Music “We’re going to be here until people don’t want to hear us any more.” So, if you have the chance, go and see him, he is worth queuing for!